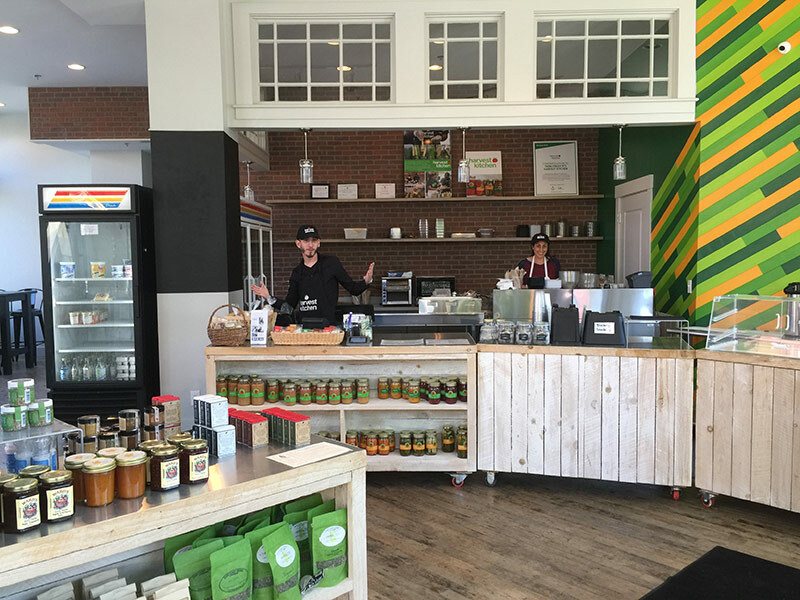 Our Harvest Kitchen Local Foods Café is more than just your neighborhood food establishment. 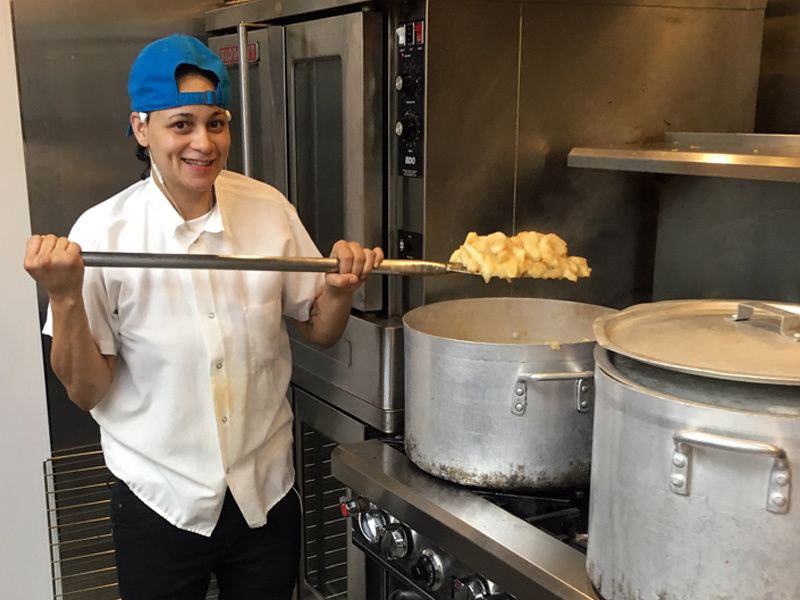 While helping our Food Service Manager, Chef Sean Kontos, prepare food for the Café, the youth trainees in our culinary job training program learn valuable lessons — which will help them when entering the workforce. Chef Educator Carroll Webb and Program Director Jenn Stott work closely with each session of youth to ensure they gain usable knowledge in topics including where their food comes from; the importance of eating nutritious, locally sourced foods; kitchen safety; knife skills; and a variety of cooking techniques. 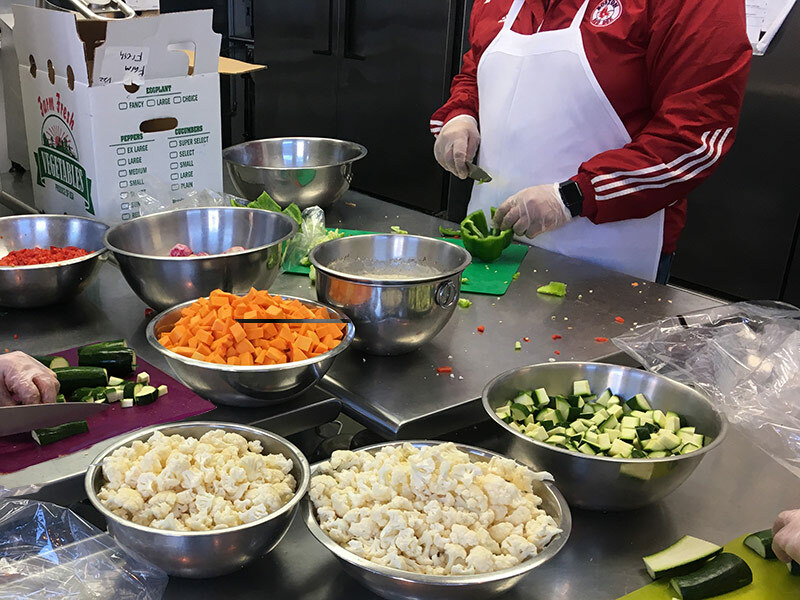 In addition to our Production Kitchen and Learning Space, where our trainees engage in hands-on “back of house” culinary activities, the Café enables the youth to also practice front-of-house customer interactions while still in a safe learning environment. 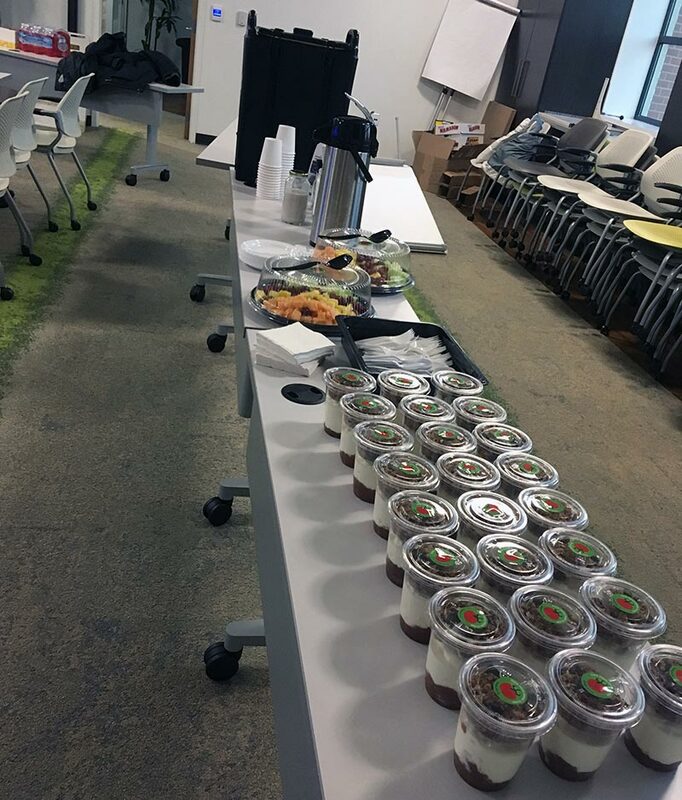 Occasionally, Harvest Kitchen is also out on the road, delivering an assortment of prepared items for catered events — yet another opportunity for our trainees to learn different aspects of working in the food industry, in this case the priorities of setting up and breaking down a catering job. We hope you’ll visit us. 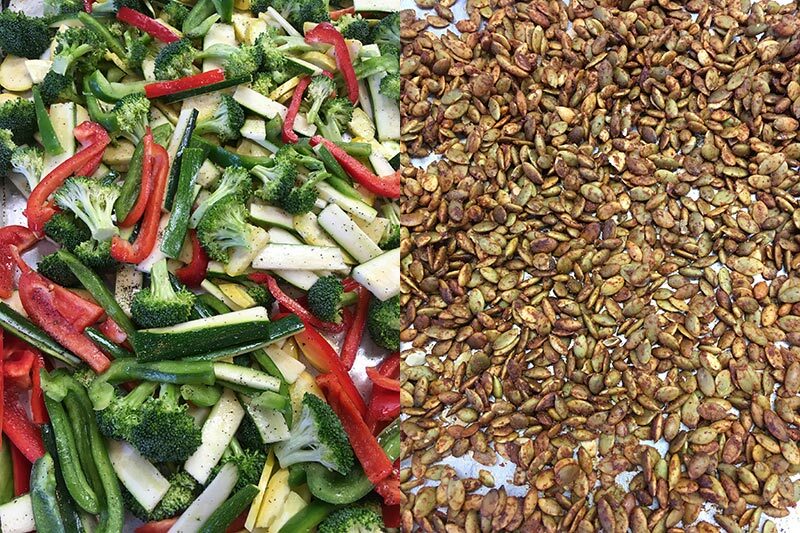 Harvest Kitchen makes delicious products for everyone, from apple chips to zucchini bread. And featuring locally sourced ingredients in every menu item means that your purchase not only supports Harvest Kitchen’s job training program and the local youth we serve, but also local farmers, small-scale food producers, and Rhode Island’s local food system. 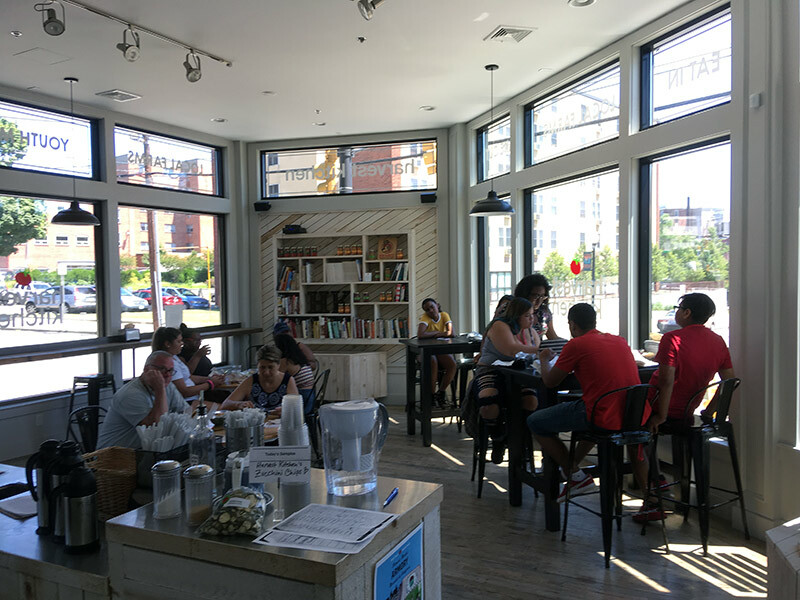 Visit us Monday through Friday at the Café: 2 Bayley St, Pawtucket. Or find us Saturdays through April at Farm Fresh RI’s Wintertime Farmers Market in Pawtucket: 1005 Main St, Pawtucket.